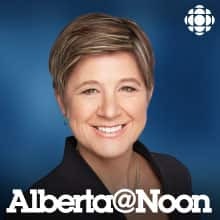 CBC Radio's alberta@noon connects urban and rural Albertans by exploring the environmental, agricultural, educational and political issues affecting everyone from the far north to the deep south of the province. What does the energy industry in Alberta want to see from the new UCP government? Download April 18, 2019/What's next for Alberta's energy sector? Conservative rule returns to Alberta - what does this mean for the province? Listeners share their most memorable dining experiences. With election day approaching, how will you decide how to cast your ballot? Download April 15, 2019/How will you decide who to vote for? We discuss whether Game of Thrones is the best television show of all time; gardening expert Jim Hole joins us in studio. What are the benefits of paternity leave for families and businesses? What would you like to see happen with Bill C-69? Four-time Olympian Silken Laumann joins us in studio as listeners share stories about overcoming adversity. Alberta NDP leader Rachel Notley joins Judy Aldous for a conversation in front of a live audience at CBC Edmonton. What did you think of last night's Alberta leaders' debate? What would you like to see happen with Brexit? We're joined by two experts who take your questions and calls. Download April 4, 2019/What's next for Brexit? Jody Wilson-Raybould and Jane Philpott have been expelled from the federal Liberal caucus by Prime Minister Justin Trudeau. What do you think of the decision? Do you play favourites with your kids - or did your parents play favourites with you and your siblings? What happens to kids when parents have a favourite child? Download April 2, 2019/Were you the favourite child? With the Canadian Women's Hockey League folding, what's next for professional women's hockey in Canada? Sportswriters Hailey Salvian and Eric Duhatschek join us to discuss the issue. Can you keep a relationship together...and live far apart? Has anything in the election campaign so far turned you off or won you over? Should doctors be allowed to restrict patients to discussing one issue per visit? What factors influence how you cast your vote? Do you use home rental services like AirBnB? What's been your experience? Should we stop cutting kids from school sports teams? A provincial election has been called. What do yo want it to be about? With the news that Jason Kenney's campaign set up a so-called kamikaze candidate to help him win, does this change how you plan to cast your vote? Vaccine hesitant? A pediatric infectious disease doctor answers questions. What is the quintessential Canadian song? Is Canada making the right call by grounding the Boeing 737 Max fleet? The authors of "The Gift of Our Wounds: A Sikh and A Former White Supremacist Find Forgiveness After Hate" join us in studio for a conversation. How well do we care for caregivers? The federal government has announced a plan to provide fast, free criminal pardons for some historical marijuana offences. Will they make a difference? Gerald Butts testifies - what's your reaction? What role should charter schools play in our province? How do you navigate the polarizing conversations in your life? Do you stop to help other motorists? How do you decide when and who to help? What do you make of Jody Wilson-Raybould's testimony? Have you had moments where you've felt like an impostor? Could immigration be the answer to rural Alberta's economic problems? More and more adults are continuing to live with their parents. Why is this happening? What are the advantages - and the drawbacks? How do you feel about the province's new photo radar guidelines? Should Alberta Party leader Stephen Mandel be allowed to run in the next provincial election after filing late financial disclosures? Celebrating tricks and tips in the kitchen that make cooking easier. Is home ownership worth the cost? How has online dating worked for you? What do you want to know next in the SNC-Lavalin affair? Your stories about getting a helping hand - or offering one - in the cold weather. Recycling - is it all it's cracked up to be? What does singing bring to your life? Are you buying and selling cryptocurrency? Do you see a future for it? Has the news about QuadrigaCX changed how you see it? How far have you gone to find something that you have lost? Does it matter if your doctor is nice? New research suggests that a kind doctor can improve a patient's health. Do you prefer fine dining or fast casual? Have you tried to sponsor your parents or grandparents to try to bring them to Canada? How do you manage screen time for your kids? What are the Edmonton Oilers doing wrong this season and what are the Calgary Flames doing right? Is it time to limit "fly-in fly-out" camps in the Fort McMurray region? What has your experience been with autism in the classroom? United Conservative Party leader Jason Kenney takes your calls as we head towards a provincial election.